PIP Benefits | Miami PIP Attorneys – South Florida Injury Attorneys, P.A. How do PIP Benefits work in Florida? In addition to covering you, PIP insurance will cover your children, other members of your household, and some passengers, provided they do not have PIP insurance and do not own a vehicle of their own. Anyone riding in your vehicle who suffers injuries will be covered by their own PIP insurance. Additionally, your PIP insurance will cover you if you are injured in an accident while riding as a passenger in someone else’s vehicle. But does a Florida resident get PIP benefits if hurt in a state other than Florida? Below are a few common scenarios that illustrate whether a Florida resident is entitled to Florida PIP Benefits in an auto accident outside Florida. Jenny owns a car in Florida. She insures it with Progressive. Jenny drives in her car to another state within the USA. Another car runs a red light and crashes into her car. Jenny is hurt and goes to the hospital. She has a fractured foot. The hospital sends her a bill. Progressive will extend Personal Injury Protection (PIP) benefits to Jenny. This is because Jenny was in her car when the wreck occurred. Jessica is the named insured because she purchased the Progressive coverage for her car. Progressive will extend Jenny PIP benefits even if Jessica was partially at fault. PIP benefits do not consider fault. Jenny can also make a personal injury claim against of the 11 potential defendants who you can sue in an auto accident. The careless driver’s bodily injury (“BI”) liability coverage in his or her auto insurance policy would be a potential source of payment. The owner of the at fault vehicle may be liable as well. Those are just two of eleven sources of possible payment. Jenny owns a car in Florida. Maria is Jenny’s daughter. They live together. Allstate insures Jenny’s car. Maria drives Jenny’s car to another state within the USA. A driver in another vehicle is not paying attention. He hits Jenny’s car, which Maria is driving. Maria is hurt and goes to the hospital. Maria has a hip fracture. The hospital sends Maria a bill. Allstate will extend Personal Injury Protection benefits to Maria. This is because Maria was in Jenny’s car when the wreck occurred. Allstate’s policy considers Jenny a relative. Allstate defines “relative” as someone who is related by blood or marriage and who resides with the named insured. Maria is related to Jenny by blood. Maria resides with Jenny. Jenny is the named insured because she purchased the Allstate coverage for her car. Jenny owns a car in Florida. She insures it with GEICO. Jenny goes on vacation to another state with her friend Jose. Jose lives in Florida and owns a car. He rents a car in another state. Jose is driving. Jenny is a passenger. Another car cuts them off and hits the rental car. Jenny is hurt and goes to urgent care. She has a fractured wrist. The urgent care center sends her a bill. GEICO will not extend Personal Injury Protection benefits to Jenny. This is because Jenny was in a Non-Owned car in another state when the wreck occurred. Jenny is the named insured because she purchased the GEICO coverage for her car. The rental car does not qualify as a temporary substitute car because Jenny’s car was working fine. Therefore, GEICO will not extend PIP benefits. Jenny can still make a claim through the rental car’s insurance policy. It may have PIP or Medpay coverage. If Jenny had been the one to rent the car, the result would be the same. Take Example #3a except assume that Jenny is a passenger in an Uber or Lyft car. GEICO will not extend PIP benefits through Jenny’s Florida auto insurance policy. However, Jenny’s health insurance may pay for her medical bills. This will depend on the out of state’s laws regarding the priority of payment for car accidents. Some states may require No Fault coverage to be billed before health insurance pays. Other states may require the opposite. The Uber or Lyft driver’s auto insurance coverage may pay for her medical bills. This assumes that the Uber or Lyft driver had a commercial auto insurance policy. Many auto insurers are denying coverage if an Uber or Lyft driver only has a personal auto insurance policy. If Jenny was hurt in a No-Fault state, the Uber’s or Lyft driver’s auto insurance may pay for Jenny’s medical bills regardless of fault. Again, this assumes that the rideshare driver purchased the proper coverage. Currently 12 states have no-fault auto insurance laws: Florida, Michigan, New Jersey, New York and Pennsylvania have verbal thresholds. The other seven states—Hawaii, Kansas, Kentucky, Massachusetts, Minnesota, North Dakota and Utah—use a monetary threshold. In addition to the auto policy that the Rideshare driver purchased, the Rideshare company (e.g. Uber, Lyft, etc.) has its own liability policy. Take example #3 except assume that Jose did not rent a car. Assume that Jose was driving his own car. He keeps it in Florida. Jenny would not qualify for PIP benefits because she was not occupying her own car. Jenny owns a car in Florida. She insures it with USAA. Her car is not used because of its breakdown, repair, servicing, loss or destruction. Jenny rents a car. She is driving the rental car in another state. Another car cuts her off. The car hits Jenny’s car. Jenny is hurt and goes to urgent care. She has a skull fracture. The urgent care center sends her a bill. USAA will extend Personal Injury Protection benefits to Jenny. This is because Jenny was in a temporary substitute car in another state when the wreck occurred. 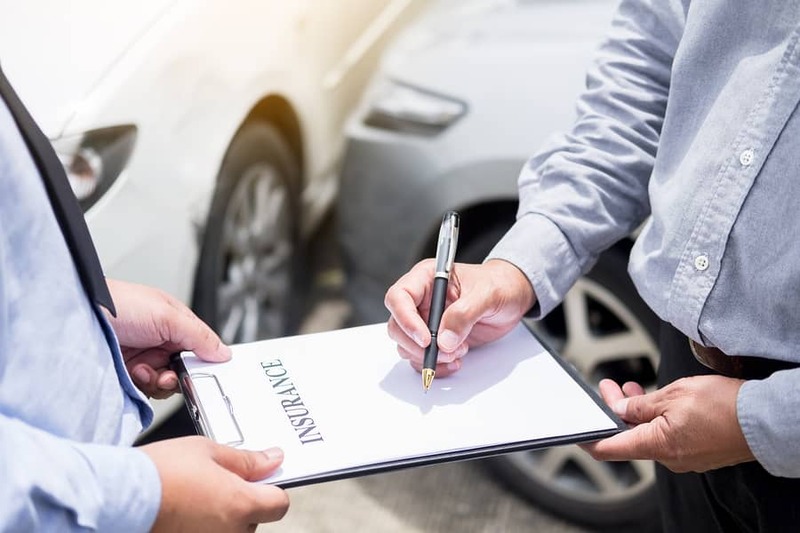 The USAA policy defines a temporary substitute car as a “private passenger auto, not owned by you, temporarily used with the permission of the owner. The rental car qualifies as a temporary substitute car because Jenny’s car had a breakdown, repair, servicing, loss or destruction. Therefore, USAA will extend PIP benefits. Take Example #5 except assume Jenny’s daughter Maria was driving the new acquired car in another state. Assume Maria lives with Jenny in Florida. Maria is a relative. She was occupying Jenny’s car. Thus, she gets PIP benefits. Whether you are a longtime Floridian or have only recently moved to the state, you are required to have no-fault insurance coverage on all your vehicles. If you believe you need to speak with a Florida personal injury lawyer, don’t delay. Contact a Personal Injury Protection Attorney at Shamis & Gentile, P.A. 305-479-2299 or fill out a contact us form and we will give you a free case evaluation today!